The neem tree is no ordinary sapling. Also known as Azadirachta indica, Neem is one of the most celebrated herbs in ayurvedic tradition. Often called the ‘Village Pharmacy’ in the Indian subcontinent, neem has been recognized for centuries due to its potential benefits. There are an abundance of neem trees planted strategically throughout the Teatulia garden in Bangladesh. The trees shield the tea leaves from the hot sun and act as an all-natural pesticide for the garden. 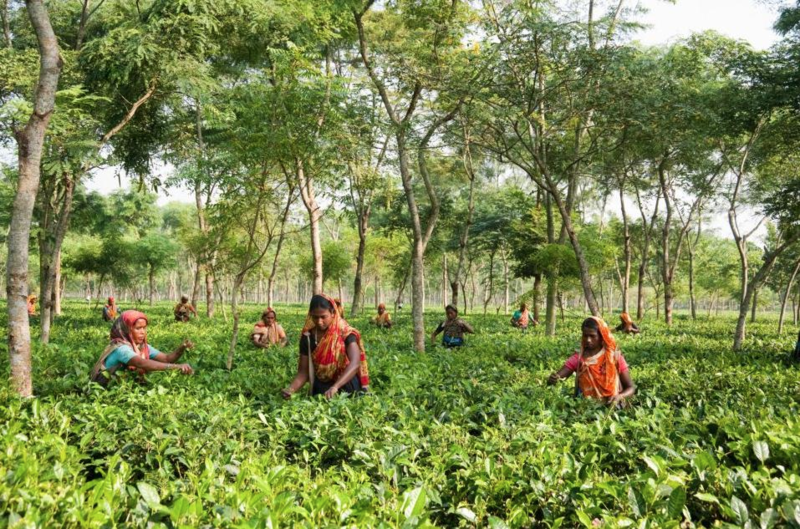 Neem Trees surround the women as they pluck the tea leaves in the Teatulia Garden in Northern Bangladesh. Teatulia is the first company to offer a premium Neem Tea. Teatulia’s Neem Nectar Tea is a blend of Teatulia’s Signature Black Tea and organic neem leaf. It is a full-bodied black tea with a delightful brightness at the finish and is exquisite on ice. It is a tea unlike any other. Teatulia’s Neem Nectar may be purchased a specialty retail stores nationwide. To learn more or to order online, visit www.teatulia.com today.